New visa centers will begin work on January 15. The new Ukrainian visa centers will open on 15 January in eight countries worldwide, the consular department of Ukraine's foreign ministry said in a release on Friday, 12 January. "Ten Ukrainian visa centers will provide services to foreigners by receiving applications and issuing visas for entry to Ukraine," the report said. In particular, the visa centers will open in Angola (Luanda), Egypt (Cairo), India (Delhi), China (Beijing, Guangzhou and Shanghai), Lebanon (Beirut), Morocco (Rabat), Nigeria (Abuja), and Tunisia (Tunis) will function in close cooperation with Ukraine's diplomatic representations of in these countries. "Foreigners will be able to submit documents for processing Ukrainian visas in a format convenient for them and, if desired, receive a number of additional services (photographs, translation and photocopying of documents, drawing up health insurance policies, courier services, SMS-information)," the ministry said. 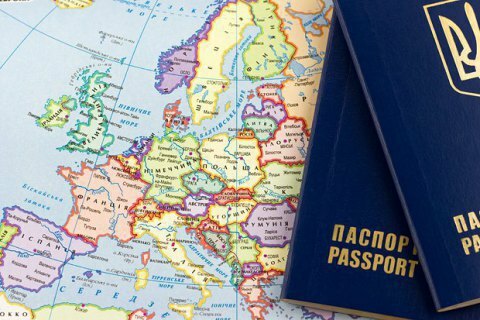 "Visa centers will give technical support regarding visa applications and assist applicants while immediate decisions about issuing and refusal of visas will, as before, be carried out the consuls of Ukraine," the ministry noted. Ukraine is planning to introduce electronic visas for foreigners and a DRUG system for the support of Ukrainians abroad.